My project for the last 7 years has been working on an approach to death and dying in an attempt to help patients and their families in ways that I just could not accomplish in an office visit. My experience includes not only 25 years of clinical experience, but I have also buried both parents from cancer, been a burn ward patient, and halfway into the project I received my own terminal diagnosis of non-Hodgkins lymphoma. 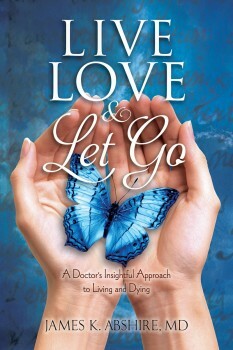 To this end, I have written a book entitled: Live, Love, and Let Go: A Doctor’s Insightful Approach to Living and Dying. An independent physician, which means we are able to cross hospital service boundaries and send our patients for testing, referrals or services that are in the best interests of our patients. Dr. James Abshire worked his way through school flipping hamburgers, tossing pizzas and selling vacuum cleaners door-to door. With money tight, he has experienced having to collect cans to be able to eat. James received his B.S. in Chemistry and a B.S. in Chemical Engineering from Purdue University, his M.D. from Southwestern Medical School and completed his residency at U.C. Davis. 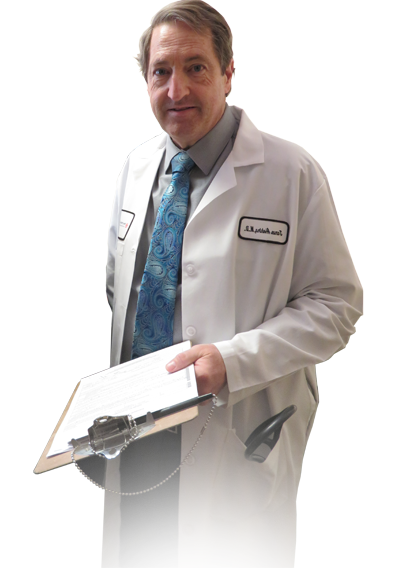 James is a board certified internal medicine physician practicing with the Mercy Medical Group in Sacramento for over the last 22 years. He has seen patients struggle with death – either their own or that of a loved one, and felt the need to assist them in ways that can’t be done with an office visit. 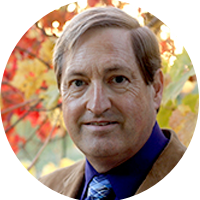 Dr. Abshire’s own harrowing life experience all inspired him to write this book. Both his parents were hospice patients so he experienced first- hand the tragedy of loss. In 2004, a propane explosion set his arms, face, and head on fire and knocked out a disc in his neck causing excruciating and debilitating pain. Then in 2010, he was diagnosed with non-Hodgkin’s lymphoma and underwent chemotherapy where he’s now currently in remission and doing well. Dr. Abshire’s book is faith based because it’s essential to have some sort of higher belief system. It’s certainly challenging to make sense of anything and he steadfastly believes you have to use your faith to survive tough times. Dr. Abshire strongly suggests if you fear the afterlife then strengthen your faith and this will brighten your outlook and fully diminish your anxiety. Today's Discussion: A book that was written to help people comprehend, and ultimately embrace dealing with end-of-life issues. Addressing hospice care, pain, suffering, fear-of-death, while sharing his own experiences and insight. James would love to hear from you! He'll reply as soon as he can.